Today is the court-ordered deadline for the Trump administration to reunite all children cruelly separated from their parents at the border. But out of more than 2500 separated children, only 1012 children had been reunited as of Tuesday. 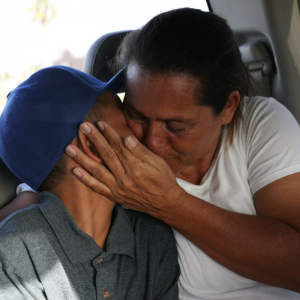 In a status hearing before Judge Dana Sabraw in San Diego, the government said that 1637 parents have been ruled “eligible” for reunification with their children, and claimed that these parents would be back with their children by today. While acknowledging the government has made progress, Judge Sabraw notes that there remain many troubling details in the aftermath of the Trump administration’s family separation policy. At least 914 children will not be reunited today because the government has ruled that their parents are ineligible, or has not determined their status. 463 parents may no longer even be in the country, according to government reports. These parents have most likely been deported, but the government was still verifying this number. Perhaps most shockingly, many parents have unwittingly signed forms giving up their right to reunification. Some parents report being ushered into rooms and shown short group presentations with 30 to 50 other parents, then forced to sign documents they often cannot understand with only a few minutes to decide whether or not to leave their children behind in the United States. While the Trump administration plans to immediately deport some families, on Wednesday the ACLU filed a motion in court asking for an extra seven days to consult with their clients before they could be deported. This is especially critical for families who may have been coerced into signing documents without legal advice. Children’s Rights continues to monitor this situation and work with our partners to ensure that all children are given due process. We will not stop until all families have been reunited.